Lock in a great price for Bellafonte Luxury Oceanfront Hotel – rated 9.2 by recent guests! Great location on the water , beautiful views, everything you need for a home away on vacation! Staff was lovely and very accommodating. Location was the perfect distance from town, and even though it is close to the airport, there is no noise from air traffic. The view is magnificent, and the water is pristine. Low key, comfortable and overall just wonderful! Right on the water one could snorkel right off the dock and practice. The regulars there were also full of tips for snorkeling or movies etc. The staff was full of great tips and restaurants across the island. It is always great to hear from a local. I would go back. View was spectacular and staff were helpful and always friendly. The room was spacious and well appointed, with good coffee and good cooking utensils. The beds were very comfortable. The scuba gear rinsing facilities and storage, as well as the ability to offload the VIP diving tanks were great. Nice outdoor lounges. Very handy water access for diving and snorkeling! While the facility has no bar or restaurant, the Windsock next door serves huge drinks. Very friendly and helpfull staff, perfect location, ultra convenient deck for scuba diving and snorkeling and a quiet environmennt. Fantastic location. Exceptionally good service. Well equipped apartments. 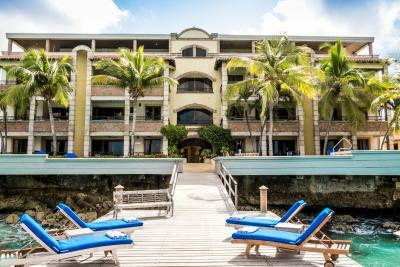 Bellafonte Luxury Oceanfront Hotel This rating is a reflection of how the property compares to the industry standard when it comes to price, facilities and services available. It's based on a self-evaluation by the property. Use this rating to help choose your stay! One of our best sellers in Kralendijk! 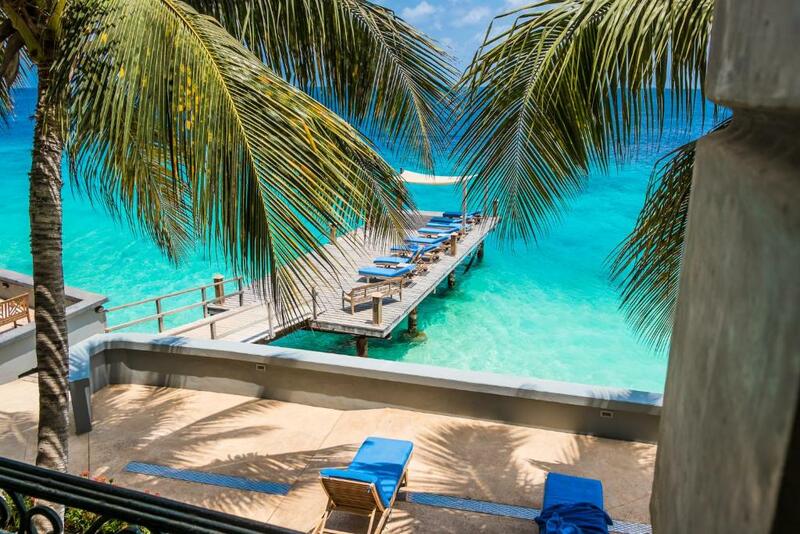 Bellafonte Luxury Oceanfront Hotel offers easy access to the bay’s coral reef. This luxurious hotel features a private pier and a hot tub overlooking the Caribbean Sea, and stylish accommodations with balconies. Bellafonte Luxury Oceanfront Hotel offers suites, studios and penthouses with modern décor and free WiFi throughout the property. All accommodations includes a fridge, microwave and coffee maker, while suites include more kitchen facilities and a seating area. Bonaire’s coastline is ideal for scuba diving, snorkeling and windsurfing. The resort has a front office from 7 AM to 11 PM, with security from 11 PM onward. Flamingo Airport is approximately 1.2 mi from the complex, while Lac Bay is less than 3.1 mi away. Restaurants can be found in Kralendijk, 1.2 mi away. When would you like to stay at Bellafonte Luxury Oceanfront Hotel? Featuring a balcony with island views, this air-conditioned studio has modern décor, flat-screen cable TV and free high-speed internet access. It includes a king bed, a safe and a kitchenette with a fridge, microwave, toaster and coffee maker. This air-conditioned suite has modern décor and free Wi-Fi. It features a balcony with ocean views, a living room and a king bedroom. The kitchen includes a stove top, refrigerator, microwave and coffee maker. This spacious air-conditioned suite has modern décor and free Wi-Fi. It features a large balcony, living room and a king bedroom all with a view of the ocean. The kitchen includes a refrigerator, microwave, coffee maker and dishwasher. This air-conditioned suite has modern décor and free Wi-Fi. 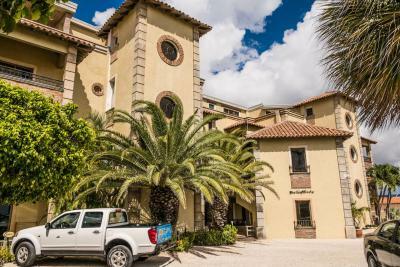 It features a large balcony with ocean view, a living room and 2 king bedrooms with private bathrooms. The kitchen includes a refrigerator, a stove top, microwave, coffee maker and dishwasher. Featuring a wraparound balcony with ocean views, this spacious air-conditioned suite has modern décor, flat-screen cable TV and a DVD player and free high-speed internet access. It includes 2 king bedrooms, 3 bathrooms and a living area. The master bedroom and lounge also offer ocean views. The full kitchen comes with a stove, a large fridge, a microwave, toaster, coffee maker and blender. 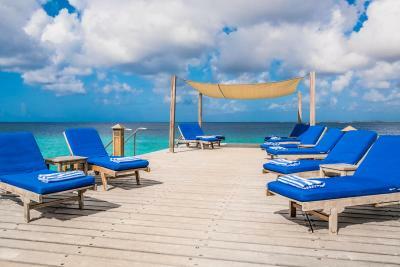 House Rules Bellafonte Luxury Oceanfront Hotel takes special requests – add in the next step! Bellafonte Luxury Oceanfront Hotel accepts these cards and reserves the right to temporarily hold an amount prior to arrival. I would recommend storing the snorkel gear in a sanitizing solution. I was unsure whether they were cleaned between and didn’t use them as a result. Some days, the room wasnt 100% cleanned and few items were not refuelled. We had the cheaper studio room (#205) and we thought we would be able to cook breakfast in the kitchenette but it didn't have a stove and the sink was 6 inches wide. The staff got us a griddle and offered an ugraded room but for $85 more a night, we said no thanks. As is customary for hotels on the island it seems, there is no front desk staff after 8pm. My room card would not open the door to the room upon coming back at 10 pm. I called the hotel’s number and left a message on the emergency number. No one called back, so I literally had to scale the building to my second floor balcony because, luckily, I had left my sliding door for the balcony unlocked. Lesley was very pleasant and genuine. Only minor issues. The parking was challenging with the big scuba trucks. There were no kitchen basics supplies such as salt and pepper. The outdoor hanging rack was nice, but we could have used more hanging space in general.